On Monday, August 21, 2017, our SPACE Club, the Engineering Physics Society, and Sigma Pi Sigma will sponsor a solar eclipse event from 1-4 p.m. in the Chapel Oval. We will give folks a pair of eclipse glasses and instructions on how to construct a pinhole camera. Telescopes will also be available for visitors to use. "One of the neatest ways to see the eclipse for free is to look at the shadow of a tree," said Dr. Tracey DeLaney, assistant professor of physics. "As the sunlight makes its way through the leaves, the system is similar to pinhole projection, so you will see all the little sunbeams coming through and hitting the ground in the shape of crescents." The path of totality is a line starting at Salem, Ore., and traveling to Charleston, S.C. Anyone along the path of totality will see a total eclipse, where the moon completely covers the sun and the sun's tenuous atmosphere, the corona. Folks not on this path will still see a partial eclipse, where the moon covers part of the sun's disk. Buckhannon will experience an 88% eclipse, starting at 1:10 p.m. The peak of the eclipse will occur at 2:37 p.m., and the eclipse will end at 3:57 p.m.
Join us at the Upshur County Library on Monday, August 14 at 6:00 pm. Dr. Tracey DeLaney will walk us through everyting there is to know about the solar eclipse that will take place on August 21. We'll distribute solar glasses. This is sure to be an interesting educational program. It is free and open to all ages. July 30, 2017 -- We will be offering exciting new planetarium shows thanks to a gift of $40,000 from the Naylor Family Trust of the Community Trust Foundation. We purchased a Digitarium Zeta Fixed Digital Planetarium System, which includes lesson plans to use with students K-12, five full-dome movies, and hands-on inquiry-based learning modules that match the state's learning objectives. "The new projector has a giant fish-eye lens," said Dr. Tracey DeLaney, planetarium coordinator. "The sky is a digital computer image projected onto the dome. We can zoom into planets and deep sky objects." April 20, 2017 -- Tony Lindeman gave a presentation to the Engineering Physics Club on NASA's planned mission to Mars. Mr. Lindeman works at NASA-Marshall in Huntsville, Ala. He graduated from Wesleyan in 1980. April 1, 2017 -- The public was invited to attend SPACE Day in the Social Hall from 1:00-4:00. The event was sponsored by the NASA-WV Space Grant Consortium and was organized by the Wesleyan SPACE Club. The college's Science Public-Outreach Team gave a presentation on the Solar System and there other were presentations on drone-flying and cryptography. There were competitions for paper airplanes and hydrofoils. The awards ceremony for the competitions took place at 4:00. March 30, 2017 -- We inducted eleven new members into the Wesleyan chapter of Sigma Pi Sigma, the national physics honor society. Members are selected based on outstanding academic achievement. Sigma Pi Sigma is housed within the Society of Physics Students, a professional association explicitly designed for students. The society operates within the American Institute of Physics, an umbrella organization that includes ten other professional science societies. The Society of Physics Students exists to help students transform themselves into contributing member of the professional community. Coursework develops skills in only one of many types. Other skill-types are needed to flourish professionally, including effective communication and personal interactions, leadership experience, establishing a personal network of contacts, presenting scholarly work at professional meetings and in journals, and outreach service to the campus and local community. SPS has over 700 chapters on college campus across the country. About 5000 student take part in chapter activities each year. March 24, 2017 -- Eight physics/engineering students made PowerPoint presentations at the Mid-Atlantic Undergraduate Research Conference. Thomas Haines reported on his research on the structure of teflon compounds using our new Raman spectrometer. Dustin Kimble discussed his research on improved blends of polylactic acid, the plastic used in 3D printers. Mark Leadingham discussed his analysis of the behavior of a type of neutron star called a pulsar using data from the 20-meter telescope at Green Bank. Nate Moore reported on his work on lift and drag of airfoils in a wind tunnel. Caleb Riffle discussed his research on the thermal conductivity of a variety of rocks. Timothy Stephens discussed his analysis of the distribution of isotopes of krypton using a quadrupole mass spectrometer. Landon Todd discussed his simulation of slipping between rock layers such as occurs during an earthquake. 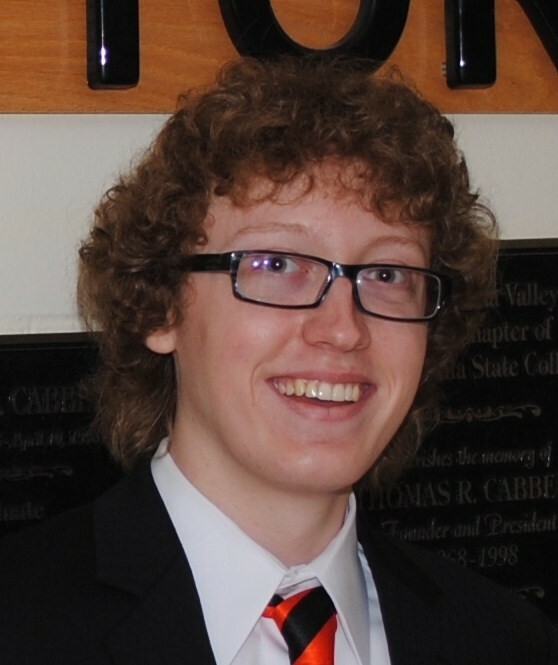 Kody Tucker reported on his semiconductor research using x-ray diffraction. February 28, 2017 -- Catapult winners are John Harvey and Andrew Rapking. Strongest bridge winners are Josh Tenney, Alex Bradley-Popovich, and Dr. DeLaney. October 14, 2016 -- Dr. Sean McWilliams spoke on the recent discovery of gravitational waves. McWilliams is an astrophysicist at West Virginia University who works with the Laser Interferometer Gravitational-Wave Observatory team. Gravitational waves are ripples in space-time produced when a very massive object suddenly slows, down, speeds up, or changes direction. Gravitational waves are a key prediction of Einstein's 101-year-old theory of general relativity. Last year, gravitational waves were finally detected by astrophysicists at LIGO by measuring the orbital decay of binary pulsars. A binary pulsar is the rapidly rotating core of a star that remains after the star explodes. October 14-15, 2016 -- The annual conference of the Appalachian Section of the American Association of Physics Teachers met here this year. Presentations by our students. Rebecca Davis, Growth and structure of iron fluoride: A report of summer research performed in WVU's NanoSafe program. Angela Meyer and Olivia Rycroft, Space flight design challenge: The Wesleyan Space Club flew an attitude-control payload from a sounding rocket launched from Wallops Island in NASA's 2016 RockSat-C program. The students designed, built, and programmed the payload on a printed circuit board using an Arduino and Spark Fun components. Mark Leadingham, Chaos theory applied to pulsars: Chaos theory involves systems that are highly dependent on initial conditions. A seemingly insignificant difference in initial conditions will give a completely different outcome. Mark applied chaos theory to astronomical objects called pulsars. Presentations by our faculty. Dr. Wiest, Joseph Fourier and the heat diffusion equation: The mathematics of conduction, convection, and radiation. Dr. Reynolds, The Paschen curve in plasma physics: The voltage, pressure, and electrode separation needed to initiate a glow discharge. Dr. Milbury, The geophysical history of the Moon and Mars: Information gleaned from gravitational and magnetic-field anomalies. Dr. Popson, An experiment to obtain the salt-water phase diagram: How does temperature affect the saturation concentration and freezing temperature? 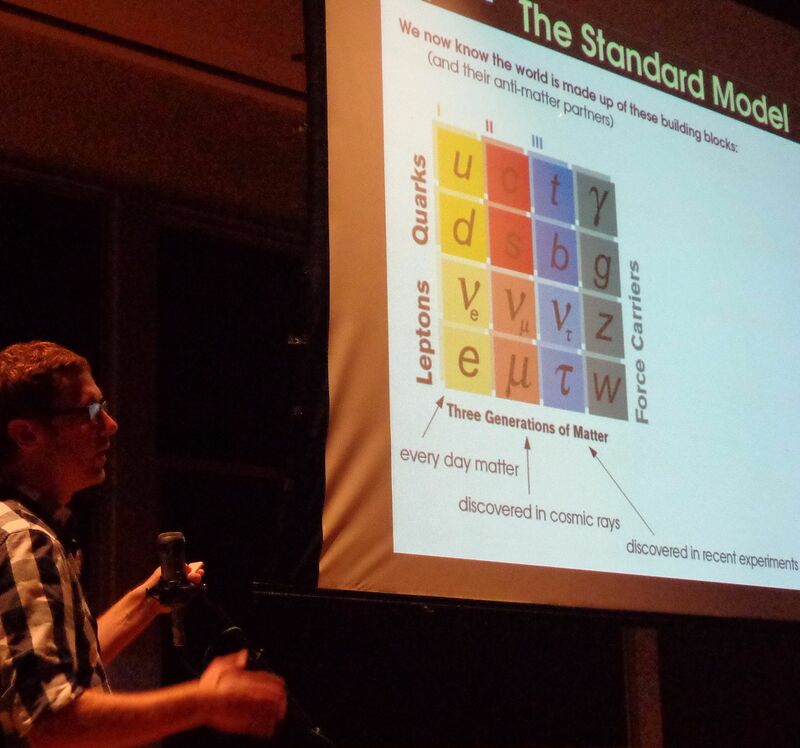 October 15, 2016 -- Dr. Jason Best discussed the evolution of galaxies, and how the process of probing the universe has also provided opportunites to gain insights into common features of how to explore all fields of science. Dr. Best is an astrophysicist and the planetarium director at Shepherd University. Emeritus faculty member Richard Clemens donated an 8-inch Meade Schmidt Cassegrain telescope including computer control. Dr. DeLaney enthused, "The telescope will be invaluable to our students as they learn to find objects in the sky to show to willing campers. The accessories are amazing, especially the solar filter to show sunspots to students. We thank Rich very much for his thoughtfulness. October 10, 2016 -- The team of Ben Oldaker and John Harvey compete against the team of Adam Fox, Josh Tenney, and Jarrod Wiley. Oct. 10, 2016 -- Jennifer Morris Cook (Class of 2000) gave a colloquium about her forensic work at Donan Engineering in Lexington, KY. She earned an M.S. in Civil Engineering at WVU. September 21, 2016 -- Dr. Milbury spoke to our students on how geophysicists use gravitational and magnetic anomalies to learn how Mars has evolved over time. She has been invited to make a similar presentation at the California Institute of Technology on September 23. Dr. DeLaney is featured in the cover story of the fall issue of The Neuron journal. The article articulates the ways she is dedicated to challenging students to explore the unknown. DeLaney has two grants from the National Science Foundation's WV-EPSCoR program. Her radio-telescope grant involves constructing two radio telescopes to study the sun and hydrogen in the Milky Way. She is also part of West Virginia's $20 million NSF-EPSCoR Research Infrastructure Improvement grant as part of the Pulsar Search Collaboratory that trains students to study pulsar signals from the Green Bank telescope. The West Virginia Higher Education Policy Commission's Division of Science and Research produces The Neuron, a quarterly publication that features science and research news primarily from WV colleges and universities. Sept. 17, 2016 — Angela Meyer and Mark Leadingham attended a training session for the Space Public Outreach Team at Green Bank. SPOT members are undergraduate student ambassadors who give science-themed presentations to K-12 students in West Virginia. June 24, 2016 — Angela Meyer and Olivia Rycroft spent a week at NASA Wallops Island. 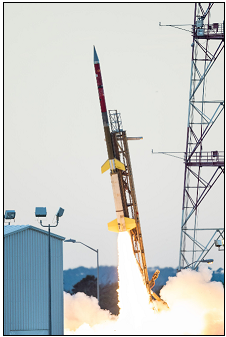 They worked with NASA engineers to install their payload on a Terrier Improved Orion sounding rocket. They watched the launch, retrieved their payload, and analyzed the data. May 9, 2016 — Seven physics students started working today on summer research projects at Wesleyan. Working with Dr. DeLaney are Kimberly Culver, Mark Leadingham, Angela Meyer, Olivia Rycroft, and Samantha Stinson. Their projects include developing a payload for a NASA sounding rocket to be launched this summer, research on pulsars and gravitational waves, and building radio telescopes. Their stipends are provided by the NASA-WV Space Grant Consortium, the WV Higher Education Policy Commission's radio telescope grant, and by the WV Higher Education Policy Commission's gravitational waves grant. Dustin Kimble and Cody Tucker are working with Dr. Wiest. The students are working on nanotechnology involving our electron microscope and on Raman spectroscopy research. The students are paid by a grant from the NASA-WV Space Grant Consortium. May 2, 2016 — Our seniors presented results of their research projects. Categories included aerospace, electrical, environmental, mechanical, medical physics, and geophysics. More details here. April 18, 2016 — Pickering Energy Solutions is an organization established to launch and encourage renewable energy generation and use within the Mid-Ohio Valley. Physics Alumnus Chip Pickering donated to Wesleyan 25 Sunmodule solar panels capable of generating electricity at 5.5 kilowatts. Today, Pickering completed installing them on the library roof. He took the students of the Engineering Physics Club to the site and gave a presentation on their operation. April 9, 2016 — Dr. DeLaney announced today that Emily Kearney and Lake Sankey won the Freshman Engineering Design award for strongest bridge. April 16, 2016 — Angela Meyer and Tyler Heffner attended the annual NASA-SPACE Day, held this year at Fairmont State University. Angela gave a poster presentation on the small rocket payload that our SPACE Club built. The payload will fly on board a sounding rocket to be launched into space at NASA Wallops Island in June as part of the RockSat-C program. The payload uses an inertial measurement unit to sense the rocket's spinning motion. An Arduino microprocessor records the spin and then an H-bridge circuit drives a small reaction motor at the same rate but in the opposite direction. This is an example of a reaction wheel, which they will use to control the orientation of the payload. April 17, 2016 — Bob Grose invited faculty and students to his home for a picnic on a warm spring day. We ate plenty of Bob's famous chili. We enjoyed dessert and games. Afterward, Bob took us to his garage to see his antique car restorations. And he let us fire his homemade cannon. April 14, 2016 — William George made a presentation tonight on his experiences working on his M.S. in Aerospace Engineering at Virginia Tech. He graduated from Wesleyan last year. He spoke on his research project, which involves methods of tracing airflow. He also offered advice on what to expect in graduate school. April 16, 2016 — Angela Meyer and Tyler Heffner attended the annual NASA-SPACE Day, hosted by the NASA-WV Space Grant Consortium and Fairmont State University. Angela, as President of the SPACE Club, gave a poster presentation about the small rocket payload that the club built to fly on board a sounding rocket to be launched from NASA Wallops Island in June as part of the RockSat-C program. Our payload uses an inertial measurement unit to sense the rocket's spinning motion. An Arduino microprocessor records the data and then an H-bridge drives a small reaction motor in response to the rocket's spin. This is an example of a reaction wheel, which is used to control the orientation of spacecraft. In the photo are Dr. DeLaney and SPACE Club members Angela Meyer, Olivia Rycroft, and Tyler Hefner. February 16, 2016 — Dr. Jimma Betiglu presented a colloquium on civil engineering to the Engineering Physics Club. Dr. Betiglu works as an engineer at Corhart Refractories in Buckhannon. He discussed the process of building dams. March 25, 2016 — The National Institute of Standards and Technology announced today that two physics majors won summer internships at their facility in Gaithersburg, Md. Winners are Cayla Collett, a sophomore from Elkins, and Corey Rhodes, a senior from Seneca Rocks. January 11, 2016 -- The Division of Science and Research of the West Virginia Higher Education Policy Commission awarded Dr. Tracey DeLaney $8500 to build two small radio telescopes. The award came from the Instrumentation and Innovation program from the WV Experimental Program to Stimulate Competitive Research (WV-EPSCOR). One of the telescopes will be a single-dish design using an 8-ft mesh dish. This telescope will operate at 1420 GHz, an ideal frequency to observe neutral hydrogen gas in the Milky Way galaxy. The other telescope will be an interferometer that combines the signals from two 2-ft dishes. The interferometer will operate at 12 GHz, an ideal frequency for observing the Sun. "Each of these telescopes provides opportunities for Engineering and Physics students to learn about the electronics involved, the mechanics of the mounting and control system, and the physics of the astronomical objects being observed," explained Dr. DeLaney, who will hire two students two help her this summer. October 17, 2015 — Several students and faculty attended the fall meeting of the America Association of Physics Teachers in Wheeling, WV. Faculty included Dr. Wiest, Dr. DeLaney, Dr. Xu, and Dr. Popson. Students included Ryder Bolin and Andrew Tiffin. Ryder gave a talk on his summer research involving geophones and a remoting-control vehicle to travel through underground pipes. Andrew talked on his NASA research involving measure Earth's magnetic field using a sounding rocket. October 8, 2015 — Today our engineering students participated in a catapult design contest. Prizes were awarded for the least expensive design, the most aesthetic design, and the grand prize for the most accurate design. October 13, 2015 — When a small change occurs in a complex engineering system, there can be far-reaching effects. Students came to Christopher Hall tonight for a presentation that discussed methods of dealing with such issues. These methods are also useful when dealing with complex non-technical issues. Mr. Lindeman is a systems engineer at NASA-Marshall. September 29, 2015·— Tonight we met to elect officers for the new academic year. Afterward, Corey Rhodes and Cody O'Meara gave a talk on their summer internships at the National Institute of Standards and Technology (NIST). Corey worked on circuitry to improve atomic force microscopes in NIST's Physical Measurements Lab. Cody worked on three-dimensional laser scanners in their Dimensional Metrology Lab. And the students were able to meet two Nobel prize winners. Sept. 18, 2015·— Yesterday the contractor installed the countertops for our new physics lab. Delivery had been delayed because of bad weather at the manufacturer's site in Texas. Yesterday and today, the contractor has been busy replacing the temporary plywood countertops. Late today we celebrated the completion of the installation. In the photo, Dr. Wiest and Dr. DeLaney are looking things over. Everyone is quite pleased with the results. The facility has been heavily used — this semester we have been teaching eight lab sections in this room. Sept. 22, 2015 — The NASA-WV Space Grant Consortium has awarded NASA Fellowships to ten of our physics students. 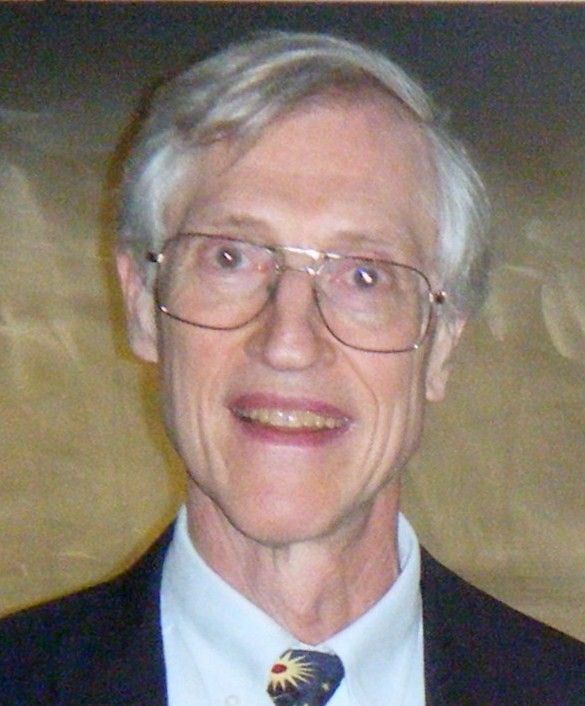 The announcement was made by Dr. Joseph Wiest, Professor of Physics. "Winners are selected based on their academic record and their commitment to a discipline of interest to NASA," said Wiest, who also serves as a member of the NASA Board. Awardees are paid a stipend to perform a research project during the academic year. August 10, 2015 — "We are able to announce a brand-new $20 million award for West Virginia from the National Science Foundation," said Jan Taylor, Director of Science and Research at the WV Higher Education Policy Commission. The five-year-long grant will support research in both gravitational-wave astrophysics and water resources. Much of this research is possible because of the Greenbank Radio Telescope and the Appalachian Freshwater Initiative. "The money will be used to boost academic scientific research and significantly upgrade infrastructure at WVU, Marshall, WV State University, Shepherd University, and Wesleyan." Dr. DeLaney and two Wesleyan students will receive $11,600 annually for the next five years to study gravitational wave astrophysics. Gravitational waves are ripples in space-time produced when a very massive object abruptly slows down, speeds up, or changes direction. Gravitational waves are a key prediction of Einstein's General Relativity theory. Gravitational waves have been observed through measurements of the orbital decay of binary pulsars. A pulsar is the rapidly-rotating core of a massive star left behind after the star exploded. Dr. DeLaney and her students will work with astronomers at WVU to observe pulsar systems using the Green Bank telescope. They will develop computer algorithms to search for gravitational waves within the Green Bank signals. In addition, they will perform follow-up observations using other telescopes, such as the Very Large Array and the Chandra X-ray Observatory. August 1, 2015 — We began renovating the large classroom on Christopher Hall's first floor to create a new physics lab. The state-of-the-art facility should be ready when classes start later this month, except for temporary lab countertops. Funding is provided through our $10 million Department of Energy Title III grant. May 2-4, 2015 — Our seniors presented results of their research projects. Categories included aerospace, electrical, environmental, mechanical, medical physics, and petroleum/natural gas geophysics. More details here. March 7, 2015·— Members of the SPACE Club sponsored a tethered helium-filled balloon launch today. They flew a payload consisting of magnetic-field sensors, an accelerometer, a gyroscope, and a Geiger counter. In addition, they tested a transceiver to receive data from the payload in real time. Dr. Steven Hard from NASA IV&V supervised the flight. Andrew Tiffin, Eric Kramer, and Paul Mallory constructed much of the electronics. We were joined by students and faculty from Marshall University. December 19, 2014 — Today we received $50,000 from Dominion Resources to buy laboratory equipment. We are buying a seismometer and geophones, which give information on deep rock layers using reflected sound waves traveling underground. We are also purchasing a Raman spectrometer, a mass spectrometer, a nuclear spectrometer, and an X-ray spectrometer. These instruments can give detailed data on the chemical composition of materials. February 20, 2015 — We purchased a three-dimensional printer using funding from alumnus Robert Sammis. We thank him for his generosity. The printer uses a thread made of thermoplastic polymer. The thread is installed into the printer's two-dimensional plotter. Then the thread is heated to the precise temperature that causes the thread to soften. The plotter is programmed to move in a way that lays down consecutive cross-sections of the three-dimensional object. 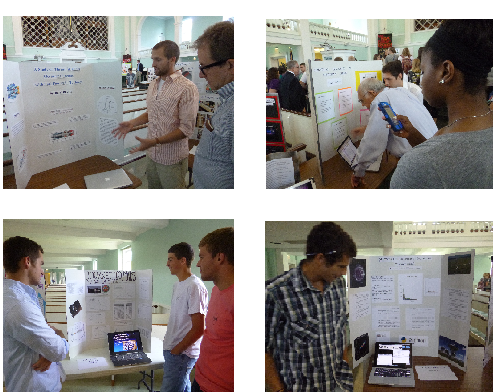 October 11, 2014·— Space Day was organized by the SPACE Club with support from the NASA-WV Space Grant Consortium. The program featured activities for students K-12 as well as college students. In the photo, SPACE Club members are registering participants from the community. More details here. December 15, 2014·— The Physics/Engineering folks are excited about the plan to convert our large first-floor classroom into a modern lab facility. Funding is provided through the $10 million Title III Grant that the college was recently awarded under the U.S. Department of Education's Strengthening Institutions Program. We plan to use the new lab starting next August. 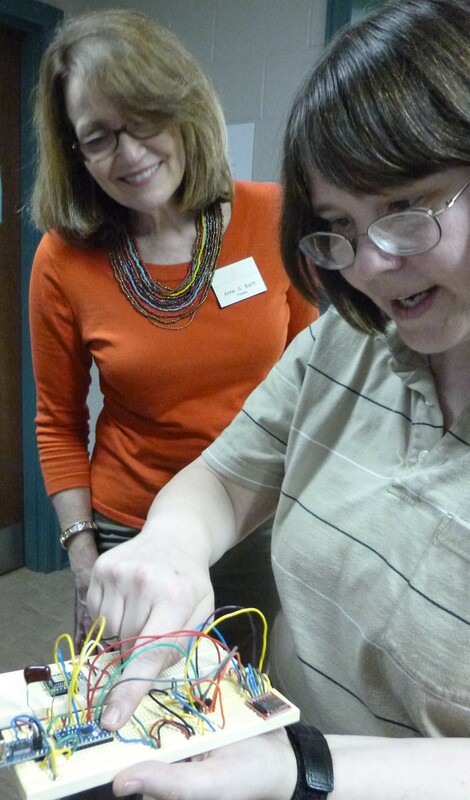 November 1, 2014 — The American Association of Physics Teachers met at Frostburg State University. The faculty presented the following talks: Dr. Wiest, The Electron Microscope in the Undergraduate Curriculum; Dr. DeLaney, Space Day at Wesleyan; Dr. Reynolds, The College-Industry Collaboration at WV Split Rail; and Dr. Popson, A New Acceleration of Gravity Lab. October 5, 2014·— Wesleyan's NASA Committee selected eleven students for this year's NASA Fellowships. The announcement was made by Dr. Joseph Wiest, Wesleyan's representative to the WV-NASA Space Grant Consortium. Winners are selected based on their academic record and commitment to a discipline of interest to NASA. Winners are paid a stipend to perform a research project during the academic year. In addition, they have the opportunity to apply for a summer internship at a NASA facility such as the NASA-Langley Space Flight Center. March 28, 2014·— Andrew Ferguson designed a procedure for digital holography, an electronic method to make three-dimensional photography using lasers. Jacob Poldruhi designed a system to generate power on a spacecraft using organic waste. Dillon Huffman designed a cost-effective prosthetic arm using an Arduino microprocessor. Quinn Gray created an electronic speech synthesizer using Fourier transform circuitry. Lucas Greza designed a variety of wings to determine how to minimize drag. David Rhodes designed a jet turbine engine for maximum efficiency. Russell Gillespie designed an electronic feedback system to stabilize a hovercraft. Eddie Hasis studied methods to maximize efficiency of a hybrid engine. Conor Forrester developed an electrochemical method to convert graphite into graphene. Andrew Knotts designed an ion thruster with maximum efficiency. October 14, 2013 — Sam Feola returned to his alma mater to speak to students about his experience as Program Director of Raytheon Polar Services, supported by the National Science Foundation. Feola managed 400 full-time staff and 2000 seasonal workers per year. September 3, 2013 — The following physics / engineering students made poster presentations today: Andrew Ferguson, Conor Forrester, Will George, Russell Gillespie, Josh Hiett, Andrew Knotts, Mark Mattis, Jacob Poldruhi, David Rhodes, Matt Spicer, and Matt Stadelman. October 3, 2013·— Alumnus A.L. "Chip" Pickering spoke to our students about environmentally sustainable construction technologies. His firm's latest construction project is a home near Parkersburg that will be the first LEED Platinum house in West Virginia. Pickering is an LEED-certified Advanced Practitioner for Building Design and Construction. He is the President of Pickering Associates, an architectural and engineering firm in Parkersburg. He holds an M.S. in Engineering Management from Marshall University and a Ph.D. in Strategic Leadership for Ohio University. April 17, 2013 — Today WV-NASA Board member Anne Barth gained first-hand information on our NASA activities. She is also Executive Director of TechConnect West Virginia. Barth spoke to Lucas Greza, a third-year student who will perform NASA wind-tunnel research this summer. She also talked with Mark Mattis, Russell Gillespie and Will George, three students who won summer internships at NASA-Langley. She learned about our Space Systems Engineering course, supported by NASA-IV&V in Fairmont. Students are constructing a payload to a picosatellite, which will be launched to measure changes in Earth's magnetic field from space. October 23, 2013·— Students in our new Space Systems Engineering class are working in conjunction with NASA IV&V to build a payload to put on a satellite under Dr. DeLaney's guidance. Students are responsible for writing computer code and building circuitry that will go into orbit to measure Earth's magnetic field from outer space. DeLaney commented, "Students are encountering many open-ended questions, which allows students to be intimately involved in the decision-making process rather than just following a cookbook." The project is funded by the NASA-WV Space Grant Consortium, which is also providing technical advice. September 16, 2013 — Dr. Tracey DeLaney was notified that NASA has funded both of her grant proposals. The combined $50,000 award will enable her to analyze the magnetic field structure of the supernova remnant in Cassiopeia A. The research will compare radio images from the Very Large Array obtained during 2012-3 and archival images from the Chandra X-ray Observatory. Dr. DeLaney, with the assistance of students, will analyze highly polarized radio emissions from the debris field of the stellar explosion. Her work will improve understanding of how the magnetic fields are amplified in blast waves and how cosmic rays are produced by supernova remnants. October 25, 2012 -- Dr. Gavin Hesketh spoke on the recent discovery of the Higgs boson at the Large Hadron Collider at the European Center for Nuclear Research (CERN) in Geneva, Switzerland. Hesketh is a member of the research team that made the discovery. The Higgs boson had been an elusive subatomic particle subjected to an intensive search by physicists ever since Peter Higgs made a case for its existence in 1964. Experimental confirmation of the Higgs boson greatly affects human understanding of the universe and validates that the final unconfirmed part of the Standard Model as essentially correct. Hesketh provided the historical background to the Higgs discovery, why it got people so excited, and where the research goes from here. He also shared his insights into what actually goes into making such a historic scientific discovery. He stated that he is "generally trying to do my bit to keep the experiment running smoothly." Hesketh is a Royal Society University Research Fellow, London, England. September 14, 2012·— Alumnus Dr. Chad Smith dropped by to give us the good news that he has earned a dual Ph.D. in Mechanical and Aerospace Engineering from the University of Virginia. His research project involved using a Nd-YAG laser similar to ours. Chad used the laser to measure the velocity of gases in a scramjet combustor. 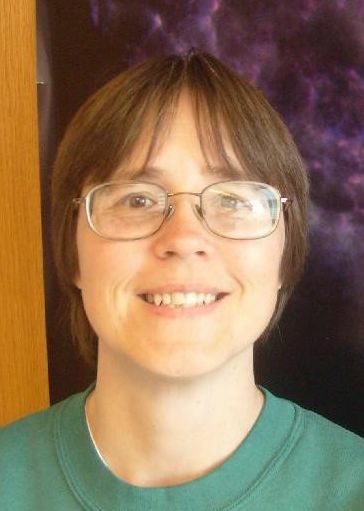 June 2, 2013 — Dr. DeLaney presented her research, The Proper Motion of the Neutron Star in Cassiopeia A, at the meeting of the American Astronomical Society in Indianapolis..
Tom Damiani works at the Bechtel-Bettis Atomic Power Lab near Pittsburgh. Dr. Damiani designs nuclear propulsion systems for submarines and aircraft carriers. On February 5, 2013, he returned to Wesleyan to give a presentation to our students about his work. He graduated from Wesleyan in 1997 and then earned a PhD in Mechanical Engineering at WVU. August 5, 2012 — Chris Kuhl celebrated the successful landing of the NASA Mars Rover Curiosity. Kuhl is Chief Engineer of the Mars Science Laboratory, Entry Descent and Landing Instrumentation project (MEDLI). "The seven minutes of terror" was the time it took the rover to pass through the Martian atmosphere. During this time, Kuhl was collecting data at Jet Propulsion Lab. Then he received the signal that the rover had landed successfully. "I was nervous, trying to make sense of all the data, and before I knew it, while I'm still looking at the data, they called touchdown," Kuhl recalled. "At that point, I knew that the heatshield survived. Our worries diminished and everyone started jumping for joy." The rocket to Mars was launched on November 26, 2011, to study whether Mars ever had conditions suitable for life. Kuhl said that he had always been interested in space exploration, even when he first enrolled at Wesleyan. After Wesleyan, Kuhl earned an M.S. in Mechanical Engineering from Purdue University. The first photo below is from the news conference. Kuhl is the second person from the right. The second photo shows preparation of the biggest-ever heat shield at Lockheed-Martin in Denver. Technicians are installing electronics for collecting data during the descent through the atmosphere of Mars. June 6, 2012 — A transit of Venus occurs when Venus passes directly between the Earth and Sun. During a transit, Venus can be seen from Earth as a small black disk moving across the Sun's surface. Such transits usually require several hours. This transit lasted 6 hours, 40 minutes. We will need to wait 105 years for the next transit of Venus. 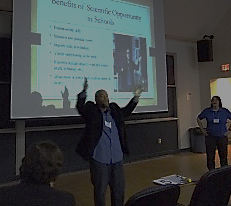 May 18, 2012 — The physics faculty traveled to NASA-Langley to set up an aerospace summer student internship program. The visit was facilitated by Chris Kuhl (1993), an engineer at NASA-Langley. He led the team that designed and built the Mars Rover vehicle's heatshield. We learned about the Game-Changing Development Program, which invests in novel ideas that have the potential to revolutionize space travel. We visited the Flight Hardware Testing Facility, where the heatshield for the Mars Rover was assembled. We also visited the National Transonic Facility, which houses the Mach 1.2 wind tunnel that tested the Space Shuttle, B2 Bomber, and F18 Hornet. March 21, 2012 — We drove to WVU to hear John Mather's lecture, The History of the Universe in a Nutshell. Mather won the 2006 Nobel Prize in Physics. From·the·Big Bang until now, and on to the future -- Mather told the story of how we got here, how the Universe began with the Big Bang, how it could have produced an Earth where sentient beings can live, and how those beings are discovering their history. Mather is Project Scientist for the NASA Cosmic Background Explorer (COBE) at NASA-Goddard. COBE measured the spectrum (the component colors) of the radiation from the Big Bang. He also chairs the James Webb Space Telescope mission. Mather's team discovered hot and cold spots in the Big-Bang radiation. Mather discussed Einstein's biggest mistake, how Edwin Hubble discovered the expansion of the Universe, and how COBE data supports the Big Bang theory. March 8, 2012 — Colby Stanley aspires to a career in electrical engineering. He is off to a good start: his knowledge of computers garnered him a first-place finish in the High-Performance Computing Competition involving students from colleges and universities throughout the state. High-performance computing involves using a cluster of computers to solve a problem that is too complex for one computer. Colby used data from pulsars -- stars that emit pulses of electromagnetic radiation similar to a lighthouse. He used wavelet analysis software to separate the pulsar data from the noise. Oct. 6, 2011 — Daniel Keenan presented a colloquium on the NASA process, integrity, and teamwork. For the past 21 years, Keenan has been a mechanical engineer at the NASA Kennedy Space Center. He was responsible for the Space Shuttle's thermal protection system. He brought some pieces of the shuttle's outer shell for us to inspect.